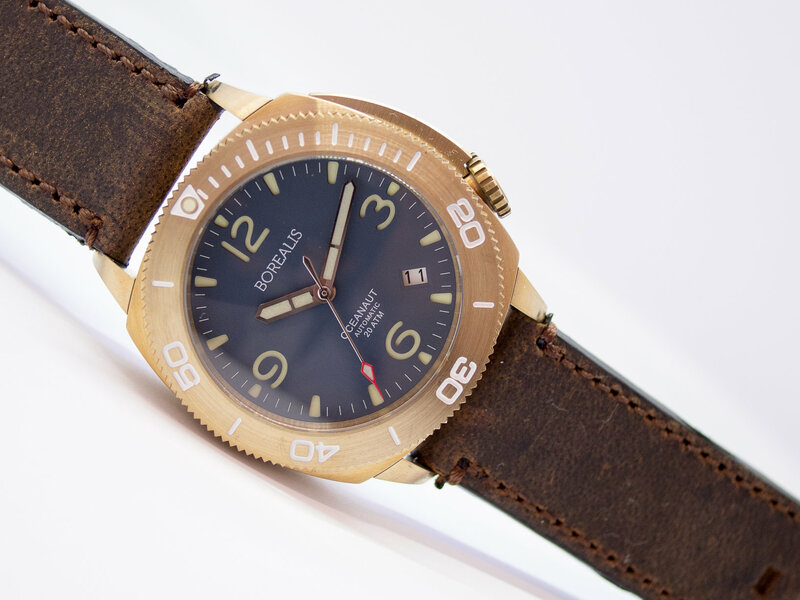 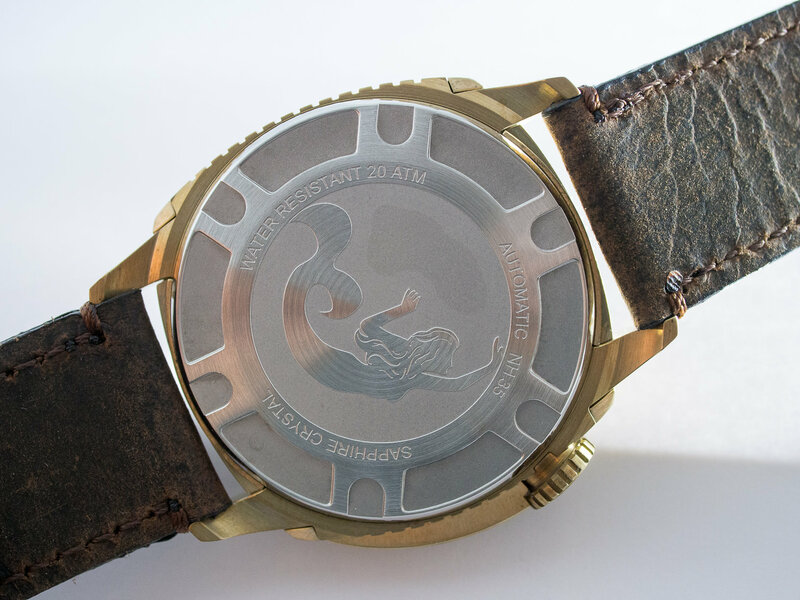 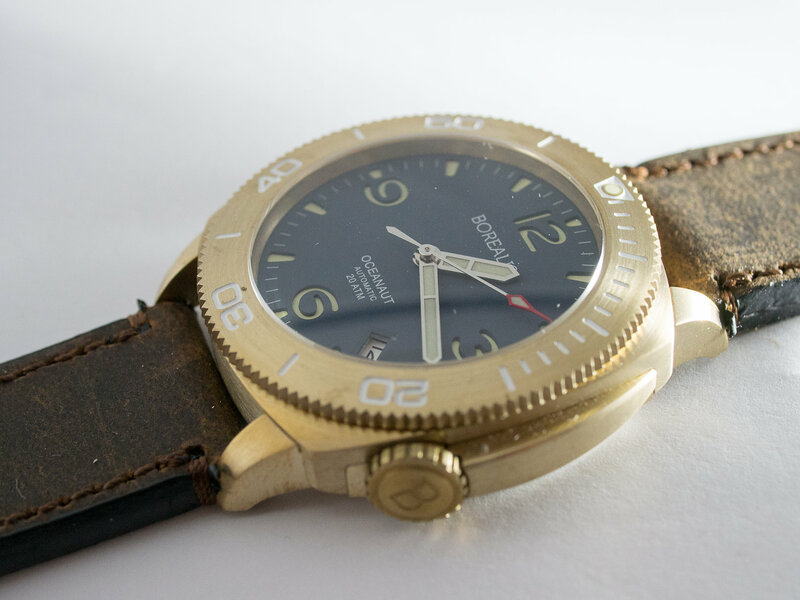 The Borealis Oceanaut 200m Automatic Diver Watch is powered by a Seiko NH35 Automatic Movement and is the very first Aluminum bronze watch manufactured by Borealis Watch Company. 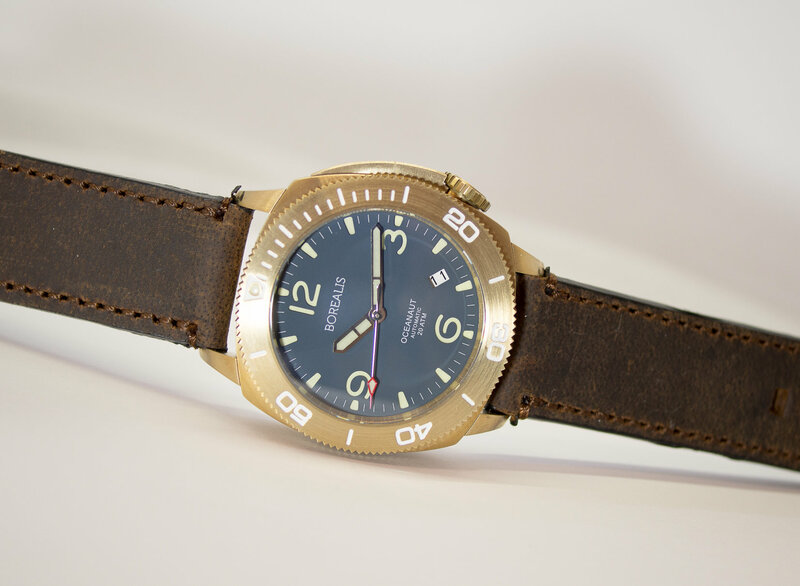 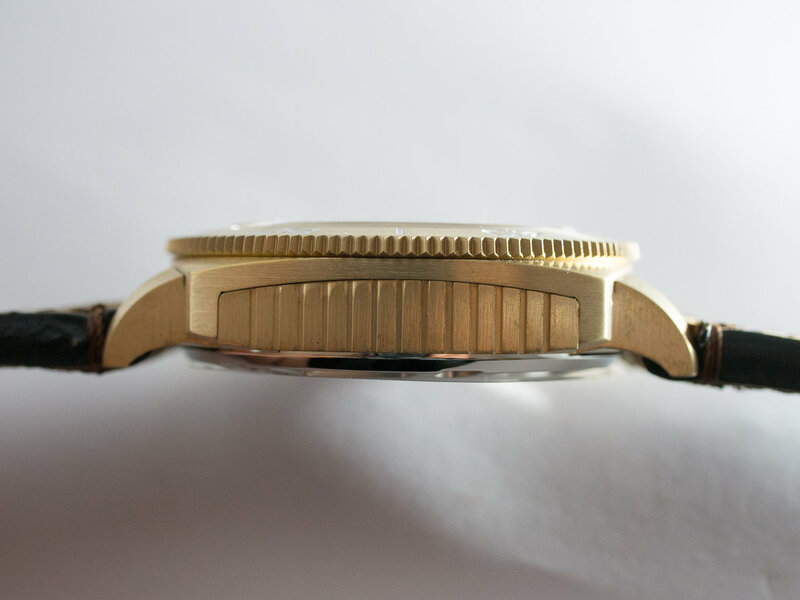 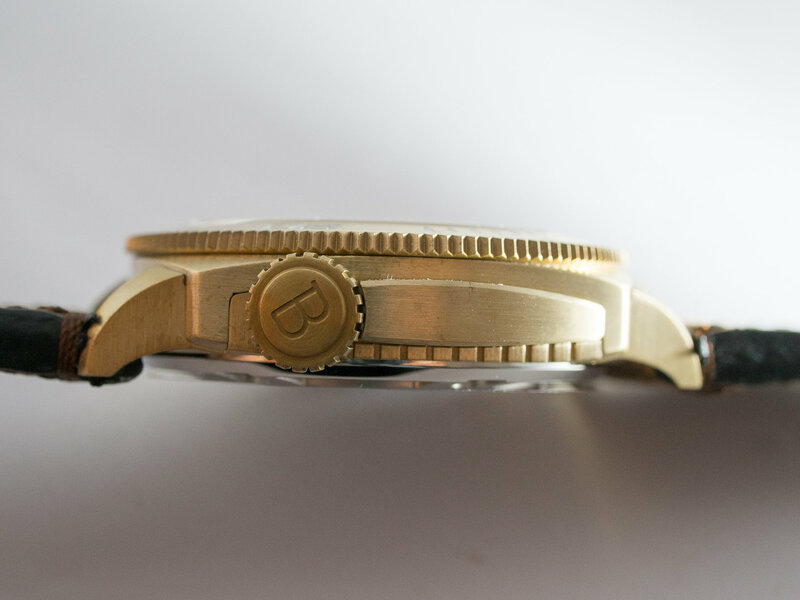 It is a watch inspired in designs of vintage diver watches with its own flare of modernity and timeless design. 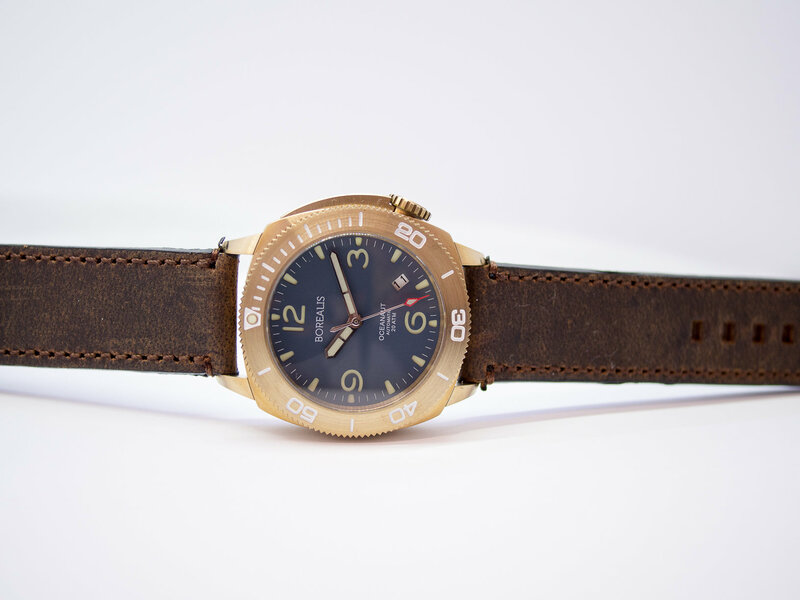 This automatic men's automatic diver watch is built to last with a aluminum bronze case, sapphire crystal with anti reflective coating applied underneath and a hand made leather strap with a custom aluminum bronze buckle. 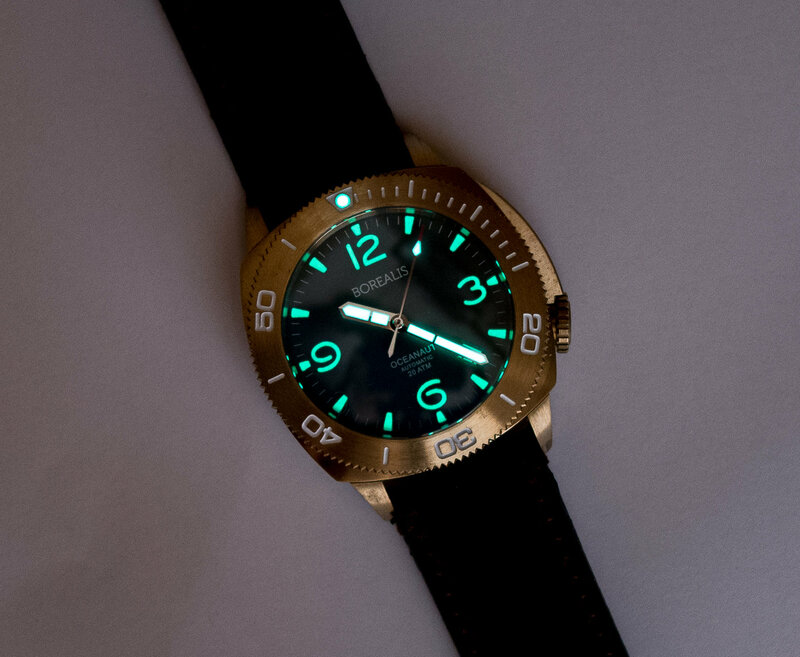 The Borealis Oceanaut series is available in three distinct dial colors: black, teal blue, jade green together with a combination of date and non date dial. 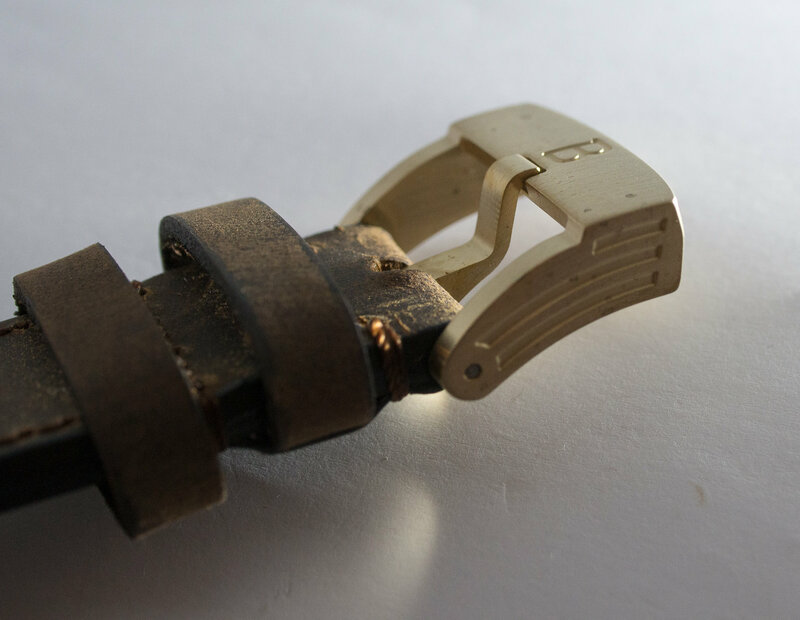 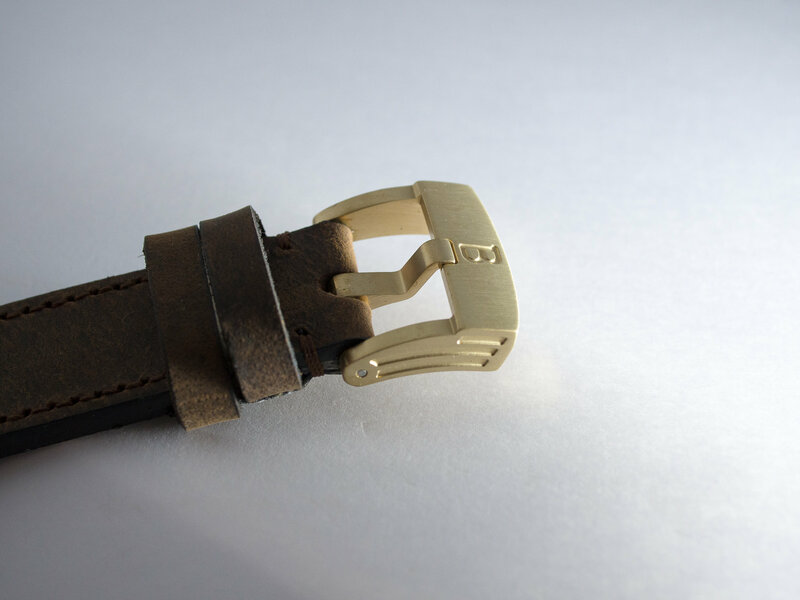 It features a total height of 13.15mm making it versatile and possible to use in most occasions. 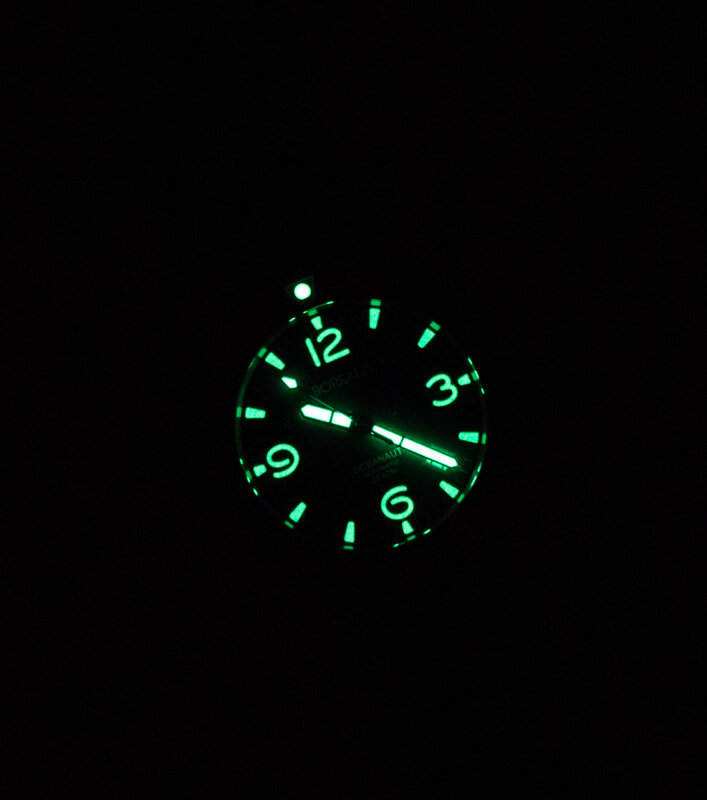 The sandwich dial, watch hands are made with Swiss Made RC Tritec C3 lume applied to it in order to guarantee a perfect illumination and easy readability in darkness. 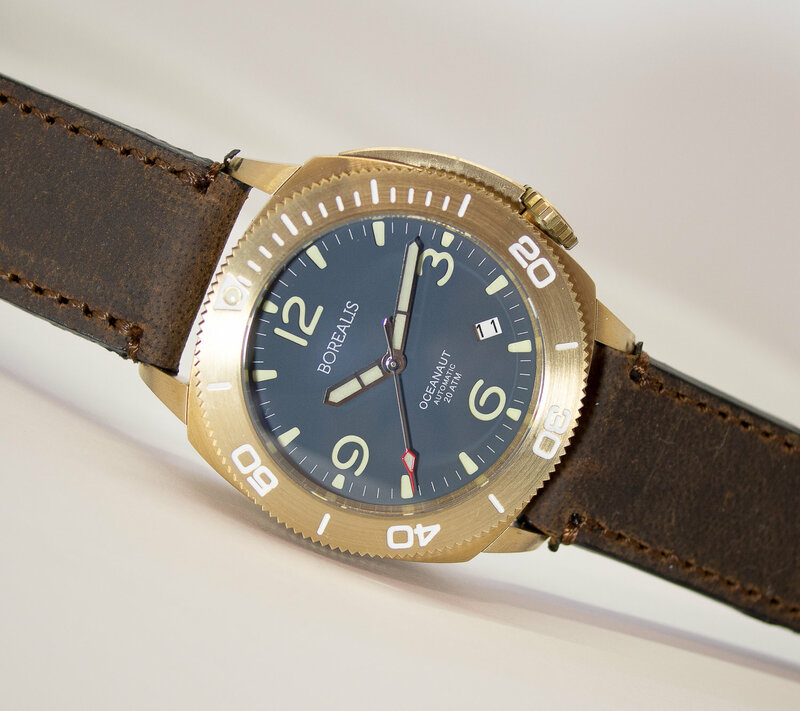 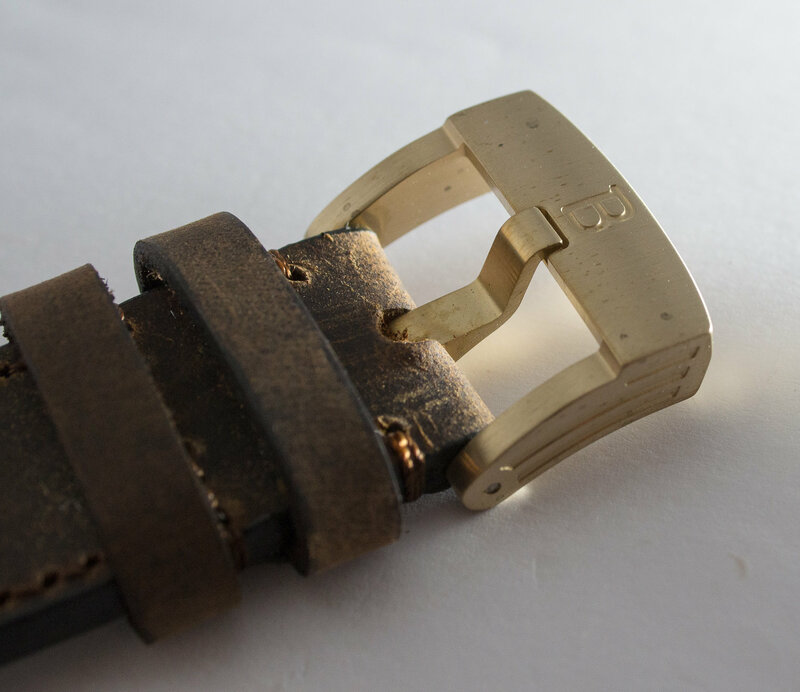 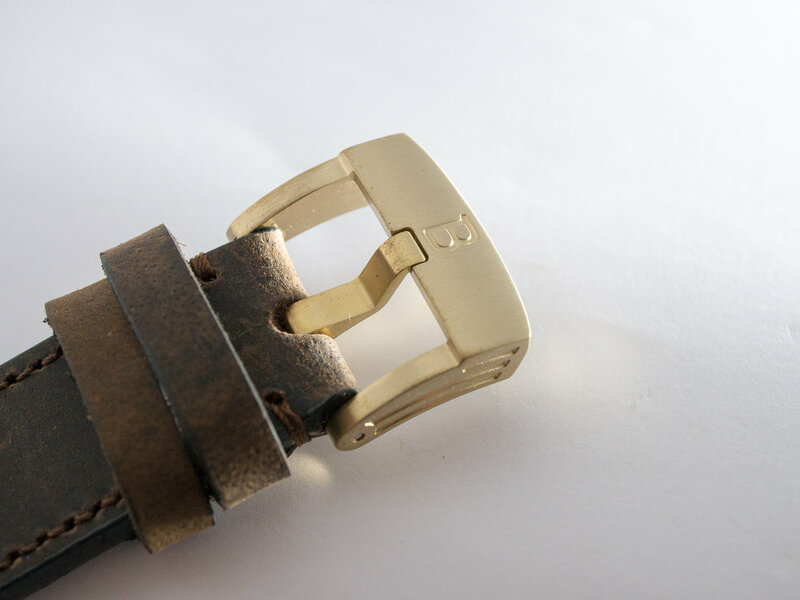 Each Borealis Oceanaut Aluminum Bronze is complemented by a premium hand made calf leather strap with a custom made aluminum bronze buckle. 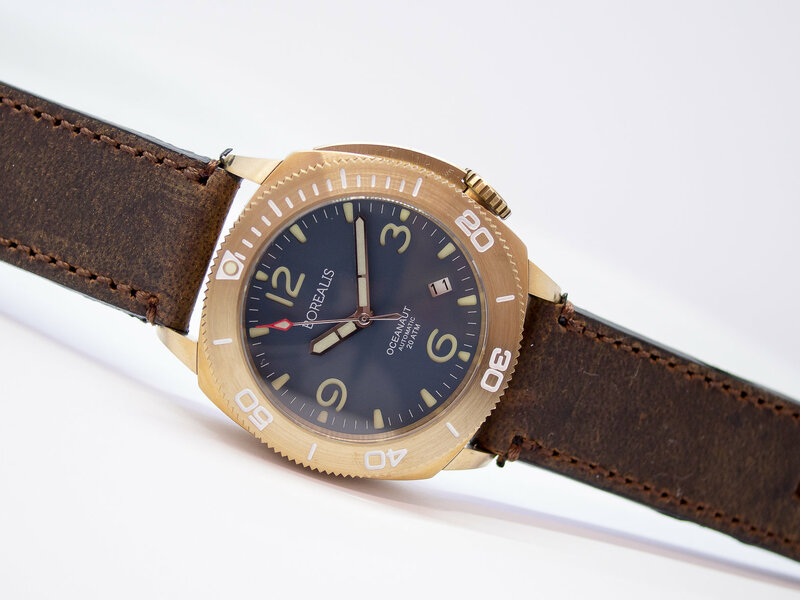 Note: Be aware bronze is a living metal league and therefore patina, discolouration in metal , spots, can / are to be expected with reaction to atmosphere and each individual watch reacts differently.